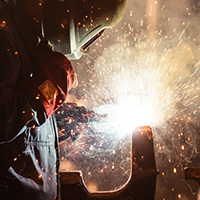 Are you thinking about going to welding school and wondering where this type of education could take you in the job market? There are several welding careers available to individuals with the appropriate level of training and experience. Below is an overview of three occupations requiring welding skills. Whereas ironworkers manipulate metal at great heights, sheet metal workers (47-2211) usually perform their duties at ground level and often indoors. 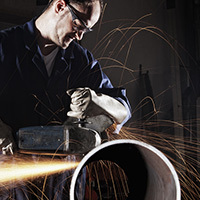 There are several different types of sheet metal workers. Fabrication sheet metal workers report to factories and shops to produce precision sheet metal parts for a range of industries, such as medical device manufacturing. Installation sheet metal workers install metal roofs, gutters, and sidings, as well as the ductwork that distributes heated or cooled air throughout a building. Maintenance sheet metal workers clean and repair ductwork to ensure it operates correctly and efficiently. Testing and balancing sheet metal specialists perform similar tasks to maintenance sheet metal workers, as well as heating, air conditioning, and refrigeration mechanics and installers (49-9021). Sheet metal workers are predicted to have 7 percent job growth through 2024.